- Introducing an integrated Script Editor*, next generation image filters and built in Instant Alpha tool. - New graphics features include speedlines, halftones, updated stroke options and more! - Dozens of fully customizable templates. 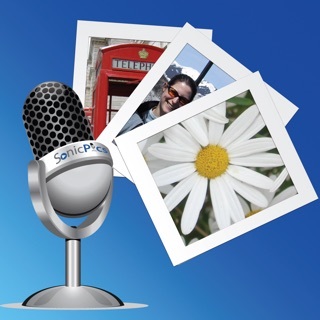 - Everything you need at your fingertips: speech balloons, photo filters, comic lettering, templates, shapes, shadows and effects. Download Comic Life 3 to create dynamic comics with your photos. - Read your comics with the integrated e-reader. 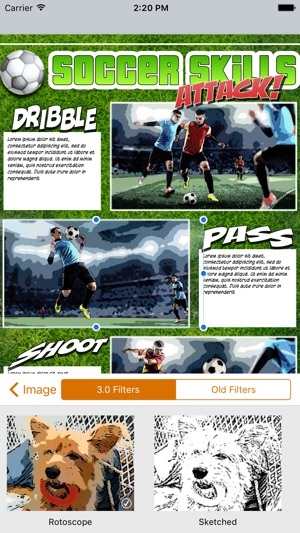 - Create photo comics in the full featured comic editor. 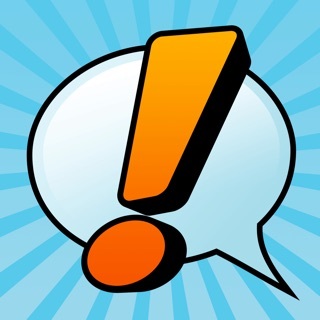 - Share your comics on Facebook, Twitter, via Mail, AirDrop and iTunes File Share. 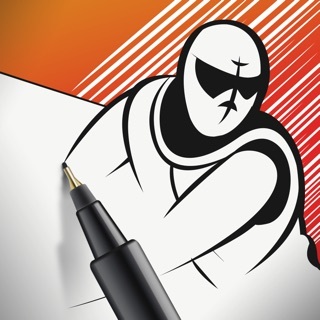 - Transfer your comics to Mac or Windows and keep working with Comic Life 3 on your desktop or laptop. - Send your comics to a printer on your wireless network. 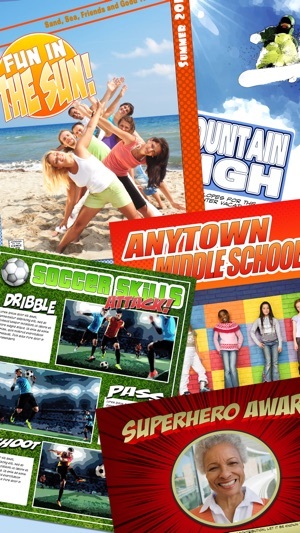 - Choose from full page layouts including panels, titles and captions along with complimentary styles for a high end look. 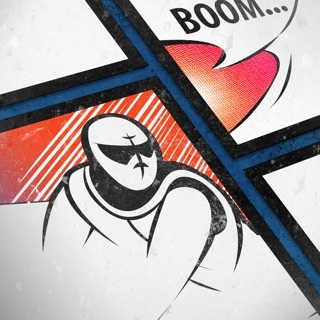 - Drag and Drop elements anywhere in your comic page. 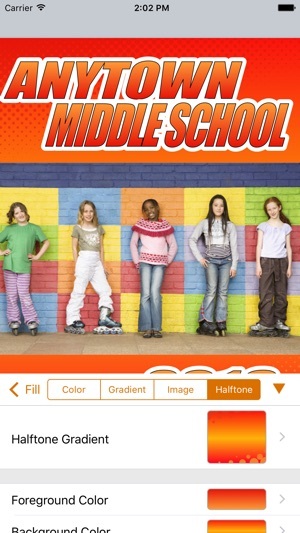 - Easily add photos from your library with the Place Photo button in panels. - Curve and place balloon tails precisely with advanced tail controls. 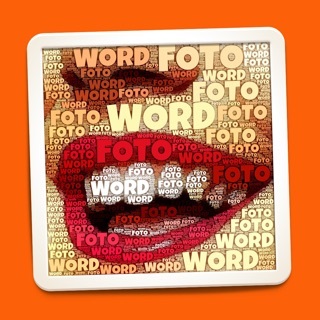 - Resize and rotate images, clip them in panels along with balloons, captions, and lettering. 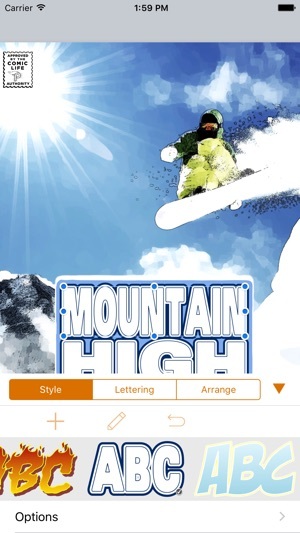 - Create multilayered color gradients to design the perfect style for lettering, captions or background. 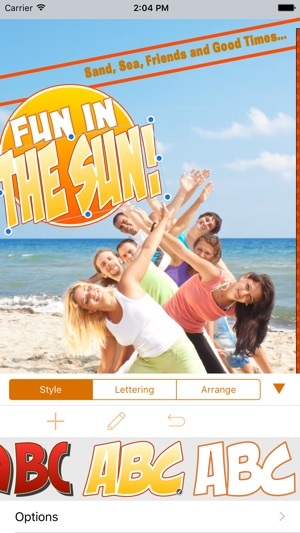 - Use smart shapes to add common shapes and the free form shape drawing tool to create any line or shape you can imagine. - Work without worry of losing your creation as documents are automatically saved whenever a change is made. Restored script templates to the iPad edition. Fixed the template sorting order. I got this for my iPad and I'm wondering if it's different on a desktop. I find myself going to the help page a lot and it doesn't always have the answers. I can't figure out how to get PLAIN text outside of a box or balloon. There seem to be lots of features that I am missing. I'm having fun playing around, but I need to sit down and read through the whole help section. maybe things will make more sense and I will update my review. 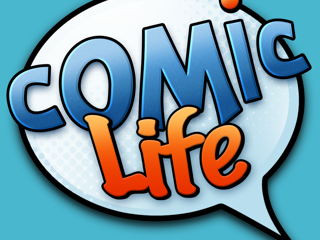 Comic Life 3 - Best mobile app. Ever! Having just completed a complex 32-page graphic novel on an iPad with Comic Life 3, I can say, without reservation, that this app. Is one of few that delivers the subtleties and nuances of a desk top app. What a great program! Well worth the 4.99 I paid. I use it for graphic novels, storyboards, posters and flyers. The text creator is so versatile, and with easily-manipulated layers and transparent png support, you can create amazing multi-layered images. There’s a lot of use for this outside of making comics. I wish there was a way we could download more templates.